“Doctor Who” Goes West in Series 7! 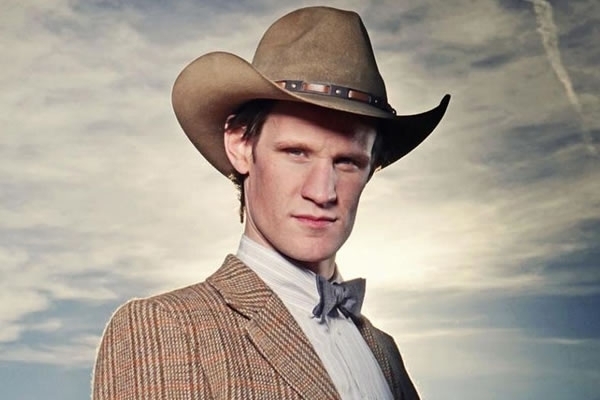 In series six the Doctor wore a cowboy hat. It appears series seven looks to up the ante. With an entire episode set in the old west. The episode entitled “The Gunslinger” was written by Toby Whithouse. It is due to start shooting in Spain later this month. Rumors suggest this show is not merely a Western but done in the style of a Spaghetti Western. 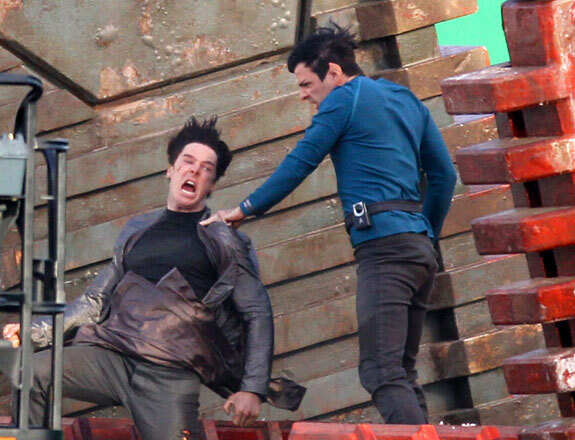 Photo: New “Star Trek 2” Set Pics! Here’s two brand new shots from the set of J. J. Abrams’ Star Trek 2. Although they don’t tell us much about the new movie. The photo above does suggest that Benedict Cumberbatch is playing a Star Fleet officer, because he’s wearing a black Star Fleet tunic under his jacket. And he appears to be vulnerable to the Vulcan neck pinch. Yup, we know, not much to go on. 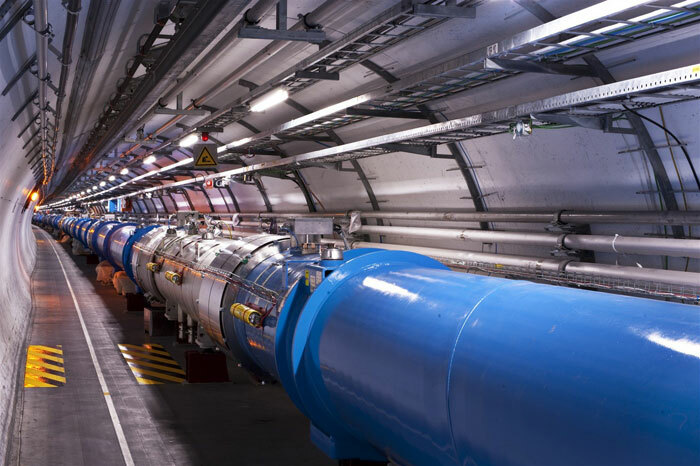 Neutrinos Can’t Move Faster Than Light After All! Back in September, and apparently confirmed in November, a series of tests suggested that neutrinos could move faster than light. This would have been a stunning fact if proven correct as Einstein’s theory of relativity argues that nothing can move faster than light. However, many were skeptical of these results. And it now seems that the skeptics were right this time. 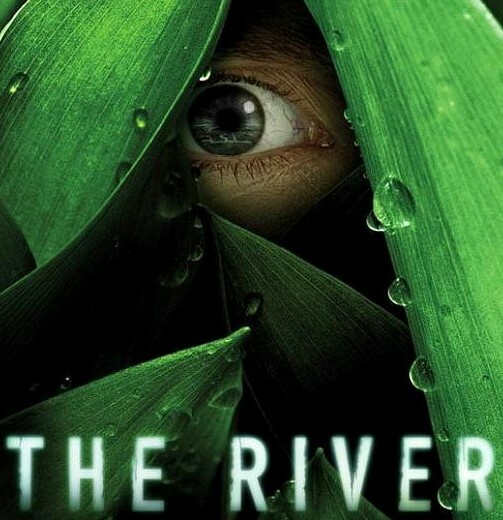 “The River” Ratings Hold Steady! The ratings for “The River” were still low this week. But they held steady. Scoring a 1.7 rating with the 18-49 demo. This suggests, once again, that the audience who tuned in for the premiere has stuck with the show. And it probably also means that much of the show’s “failure” can be laid at the feet of the marketing people. Video: Cartoon Network’s “Plastic Man”! Clip from one of the new “Plastic Man” shorts which will air as part of the Cartoon Network’s “DC Nation” programming block. Other titles also getting shorts will be Super Best Friends Forever, Doom Patrol, Batman, Lego Batman, Amethyst, Princess of Gemworld, Teen Titans, Blue Beetle and Gotham City Impostors. These shorts will compliment new episodes of “Green Lantern” and “Young Justice”. The fun begins Saturday, March 3, 2012! John Barrowman sends himself up on new skit comedy show “Watson and Oliver”. And a behind-the-scenes look after the jump. New One-Sheets for PIRANHA 3DD! “Double the action. Double the terror. 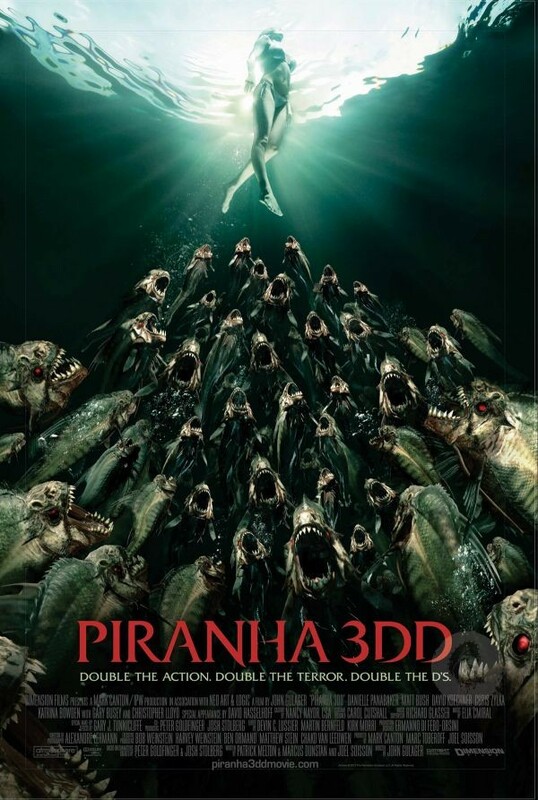 Double the D’s.” That’s the wonderfully wacky tagline for the sequel to 2010’s Piranha 3D. And even more fun than that tagline are these shiny new one-sheets which come to us courtesy of the fine folks at Bloody Disgusting. These posters are wonderfully cheesy. Wonderfully old school. And just effing-wonderful.